What is a video capture card, and how can I tell if it will work in my setup? You can use a video capture device to capture or record an audio and video output signal to a connected computer. You can use USB, ExpressCard, or PCI Express technology to connect a video capture device to a computer system. 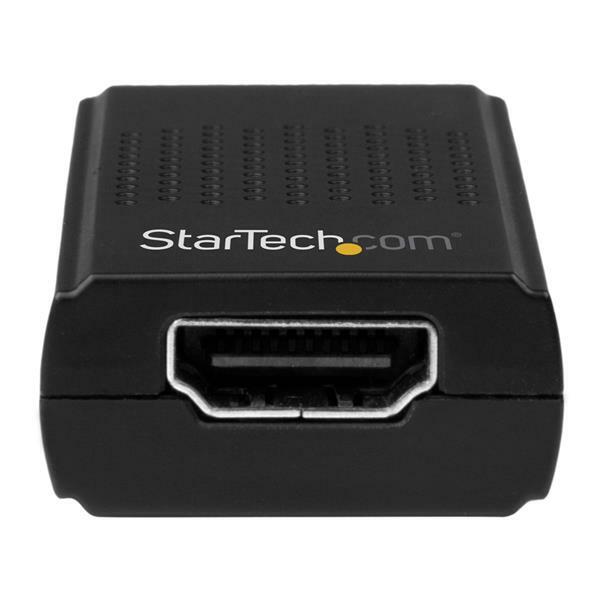 StarTech.com has video capture devices that can capture audio and video from sources such as HDMI, DVI, VGA, S-Video, component, or composite. The captured signals are usually recorded with software that is included with the video capture device. Some software will also stream the captured signals online. Select a capture device that features the audio and video connections you want to use. These can be identified on the product page, under the Technical Specifications tab. Whenever possible, you should avoid using adapters or converters with video capture devices as they can cause issues or negatively impact the quality of the audio or video signals being captured. When looking at a video capture device that requires software to use, it is important to consider the operating system you want to use it on. You can find this on the product page under the Technical Specifications tab, which only lists supported operating systems. Consider what resolution and refresh rate you require. You can find the supported resolutions and refresh rates on the product page, under the Technical Specifications tab in the Performance section. Video capture device usually use drivers and software to record audio and video. Both the drivers and the software can be found on the product page under the Support tab. Different software will have different features so it’s a good idea to review the software to make sure it is a good fit for your intended usage. You can do so by looking at the manual for the device, also located on the Support tab. 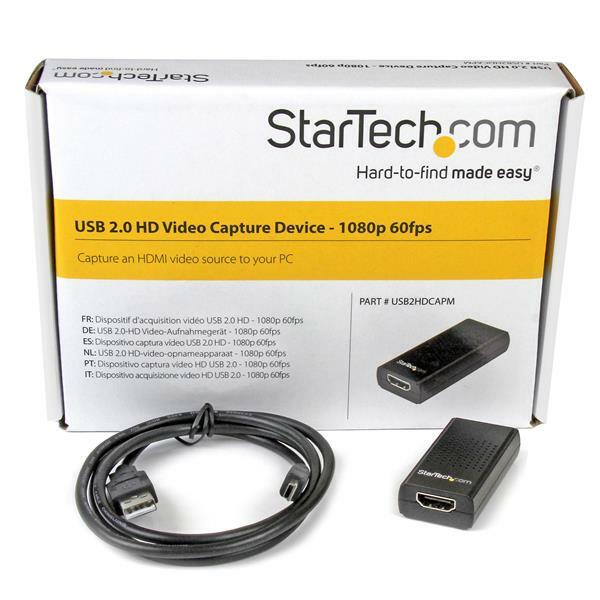 StarTech.com only supports the software included with the video capture device. HDCP stands for High-Bandwidth Digital Content Protection. This system protects high definition video from being intercepted, modified, or recorded between the source and the display. All StarTech.com devices adhere to the HDCP standard, so they do not record HDCP-protected content. HDCP content that is being blocked often appears as a blank screen or a screen with an HDCP error shown on it. Certain video capture devices allow you to stream video feeds online with streaming platform such as YouTube. For more information, review the product manual or watch our video on this subject. You can find a link to the video in the description. If at this point you have further questions about a Startech.com video capture device contact our technical support team for further assistance. How can I tell if my video source will be compatible with this video capture card? Although you may be able to plug in all of the connectors used for video standards associated with video capture cards/cables, you may still encounter issues that may prevent the video from being captured correctly. High Definition Content Protection (HDCP). This type of copyright protection is included with DVI and HDMI® and can appear as a video error or blank screen. HDCP may also appear on the screen. Analogue Content Protection (ACP). This type of copyright protection is included with analogue video (for example, composite, s-video, or component). ACP can appear as a brightness pulsing up and down. Copyright protection cannot legally be bypassed, and StarTech.com does not offer any products that do so. It is possible to passively convert video signals to different connector types, but the video standards will not always match between the video source and video destination. You may need to actively convert from one video type to another to ensure that the correct conversion is being made. When a passive converter is not available, most video standards can be converted with active converters. 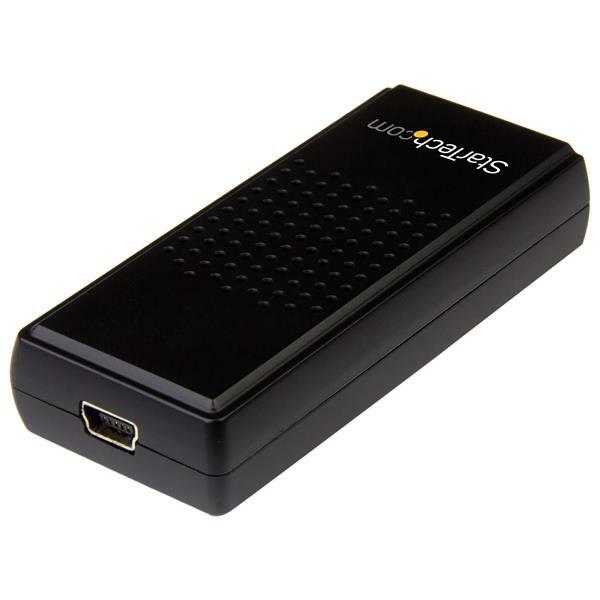 VGA source to composite or component (RCA) video, or composite or component (RCA) video to VGA. Composite (RCA) source to s-video. VGA to DVI-D and DVI-D to VGA. Note: S-video to composite can be passively converted. DVI-I/DVI-A and VGA can be used bidirectionally. If your video source has the ability to change resolutions (for example, a computer), it may be possible to send an incompatible resolution. To verify that the correct resolution is being used, navigate to www.StarTech.com and click the Technical Specifications tab for your product. Make note of the Industry Standards and Maximum Resolution specifications. In the operating system's display management, you can adjust your video source to match or go below the maximum resolution and if possible, the refresh rate of your capture card. How can I tell if I can use this video capture card with my video game console? Due to High-bandwidth Digital Content Protection (HDCP), it is not possible to record from certain gaming consoles. HDCP content (for example, movies) are protected, but the console itself may or may not have permanent HDCP enabled on the HDMI output. Optional. You can change the settings in the menu. You can use a video capture card with consoles that do not have permanent HDCP enabled. Does this video capture card support the use of third party software? 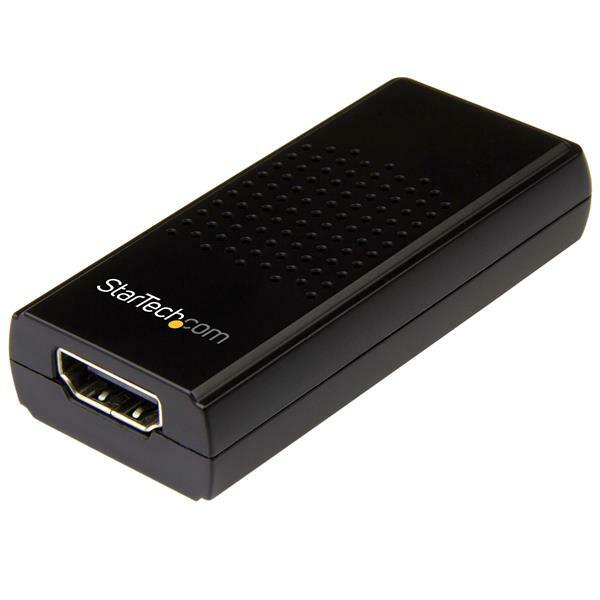 Certain StarTech.com video capture cards are compatible with DirectShow and will work with many third-party video capture applications that are compatible with DirectShow. 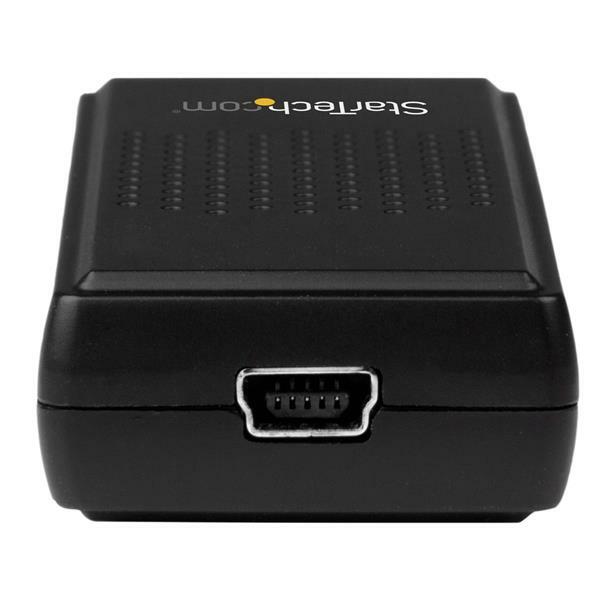 For more information on DirectShow compatible video capture cards, refer to the following FAQ: https://www.startech.com/faq/video-capture-cards-directshow. No, you cannot use this capture card to turn your video camcorder into a webcam. This capture card does not use a DirectShow compatible driver, which is a requirement for many of the software applications that enable you to use your video camcorder as a webcam. For a list of video capture cards that you can use to turn a video camcorder into a webcam, refer to the following FAQ: https://www.startech.com/faq/video-capture-cards-webcam-capable. Can this video capture card record from more than one input at a time? This video capture card cannot record from more than one input at the same time. Note: Although the USB2HDCAPS can be connected to multiple computers on the same network, only one device can capture video at a time. Note: If you have a USB or ExpressCard capture device, do not physically connect the device to your computer until you are instructed to (Step 5). In the list of extracted files, right-click Setup.exe and select Run as Administrator. After Windows has restarted, connect the capture device to your computer if you have a USB or ExpressCard capture device. How do I use Stream Catcher to stream to YouTube Live Events? Open a web browser and navigate to https://www.youtube.com/live_dashboard. Under Encoder setup, copy the Server URL from the bottom of the page. Add a slash mark and your stream name or key to the end of the URL (for example, rtmp://a.rtmp.youtube.com/live2/USERACCOUNT-8033.d1fj-m8d7-ds8y-41qj). Copy the RMTP link (you will need it to complete step 8). Click Settings > Streaming Settings. In the Streaming Protocol Type drop-down menu, click RTMP. In the Streaming Public URL field, paste the link that you copied in step 4. On the Stream Catcher home page, click the blue record icon. Why is my device not detected after updating to Windows 10? A Windows 10 update may prevent a Capture Device from being detected by your Computer. Enabling access to your Camera and Microphone will resolve this issue. Locate the slider that says Let apps use my camera. Toggle this slider to the On position. Locate the slider that says Let apps use my microphone. Toggle this slider to the On position. Use the video cables, source, and capture device in another setup to see if the problem is with the components or the setup. Use a different video cable, source, and capture device in your setup to see if the problem persists. Ideally, you should test a component that you know works in another setup. Other video destinations work with the same video source. For more information, visit http://www.startech.com/faq/video_capture_cards_source_compatibility. Adapters and extenders are kept to a minimum. The video source is not copyright protected (for example, HDCP). The video standard (for example, NTSC, PAL, HDMI, and so on) of the video source matches the Technical Specifications of the video capture device. Press the Windows key + R, type devmgmt.msc, and press Enter to open Device Manager. Check to see if your device is listed under Sound, video and game controllers. If the device is listed with an error, follow the instructions on the Support tab on the StarTech.com product page to reinstall the drivers. When you test the video capture device on your computer, make sure that the driver and capture software is installed on your system for your adapter. Some cards may be able to support third party software, however, support is limited. For more information, visit https://www.startech.com/faq/video-capture-cards-third-party-software. Note: The USB3HDCAP requires a compatible USB 3.0 card. I am experiencing issues while trying to use the included StreamCatcher software. What do I do? Before you begin to troubleshoot StreamCatcher, make sure that you have tried to troubleshoot the video capture device by referring to the following FAQ: www.startech.com/faq/video_capture_cards_general_troubleshooting. Make sure that the input that you are trying to record or display is selected in Video Source. Make sure that the video standard is set correctly for your region (for example, NTSC for North America, PAL for Europe, and so on). If your audio is not working, make sure that you selected the correct audio source in Audio Source. VBR (Variable Bit Rate) adjusts the bit rate based on the complexity of the video and saves space. CBR (Constant Bit Rate) maintains the same bit rate regardless of complexity and offers the best recording quality. The VBR quality level increases from 1 to 10, with 10 being the highest quality level. The CBR quality level goes from 2 Mbps to 16 Mbps, with 16 Mbps being the highest quality level. The target IP address is correct. The correct protocol is selected. You tested a low resolution and low bit rate to get the best performance.